The rose plant requires constant care. 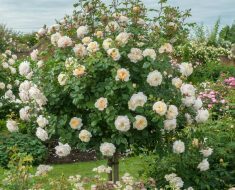 Weeding, fertilizing, spraying preparations against insects and diseases and, of course, pruning old and diseased branches are mandatory measures for the care of rose bushes. This article will focus on the topic of rejuvenation of roses. 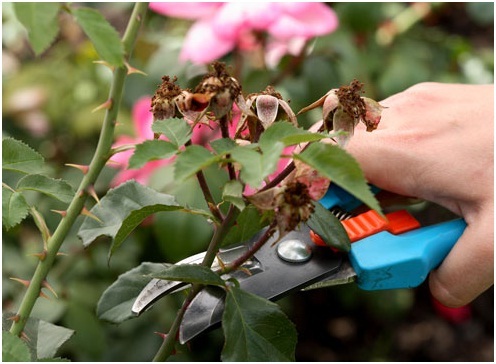 Uncut pruning rose bushes may well bloom for many years. But they look untidy because of the large number of dead, thin, sick growths. The flowers in such plants do not bloom in full force, the size is significantly different from the flowers on healthy and well-groomed plants. Also, the shape and number of flowers in the hands suffers. There are exception roses that can do without formation. However, they are the exception, not the rule. 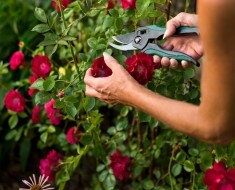 Most roses for good growth and abundant flowering dictate the need for a particular pruning. Suppose that together with the plot you got an old and neglected rose bush. He really liked you. And you wanted him to put it in order. Rose – a very tenacious plant. And getting rid of it is not so easy, but to set yourself a goal to reanimate it is generally simpler than simple. It is necessary to make corrective pruning or rejuvenation. The first thing you can do with a wild rose is to cut it at the root, and water and fertilize it plentifully. In this case, new shoots will grow and you can create a rose yourself at will. 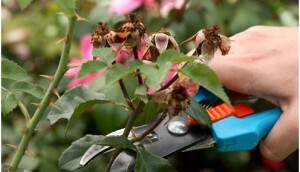 This method is applicable to highly neglected roses, and it should not be recommended as the main one. Many roses can be reanimated rose is not so radical and at the same time get good results. Street plants always have several healthy and strong stems that we recommend leaving. In winter, do this: on healthy stems, cut into a ring diseased, tangled, dead and thin growths, and remove the basal shoots if the plant is grafted. Then on the ring should be cut off half of the main stems. Next, in the remaining stems, remove all weak growths, and shorten the strong lateral by 2-3 peepholes or up to 15 cm from their base. In the spring, take the following measures: add rotted manure to the soil of the plant, or compost and feed the plant every three weeks. This stimulates the emergence and growth of strong replacement shoots. In winter, we do this: cut the remaining old stalks from last year on the ring. On young growths of this and last year, we shorten the side shoots by 2-3 eyes (buds) or 15 cm from their base. Next we do pruning roses, corresponding to the plant variety. In the spring we fertilize the plant and take care of it, as your rose requires. The duration of the rejuvenation period will depend on how much the rose is launched. It may take 2-3 years. This is how the rejuvenation of roses is done. It is not always necessary to throw away roses. They can be “run” again. Only patients with completely roses should be completely removed so that other plants do not become infected with their sores.